Botanica Living — McDougall Reidy & Co.
A mixed used project of 67 - 1, 2 & 3 bedroom apartments plus 3 commercial units. The 67 apartments completely sold out within six weeks of public launch. 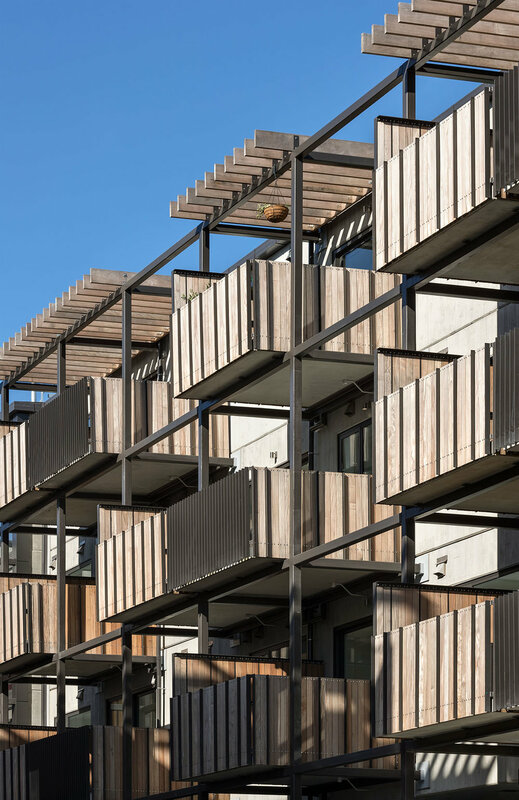 Architecture firm Peddle Thorp features a selection of private terraces and apartments defined by timber, textured concrete and organic finishes. Lush landscaping inhabits each private residence in the form of seasonal planting, gardens and private courtyards. Information on the apartments can be viewed on www.botanicaliving.co.nz.